Jestine’s Kitchen is named in honor of Jestine Matthews, who was born in the Low country in 1885. Her mother was a Native American, and her father was the son of a freed slave who was farming land on Rosebank Plantation on Wadmalaw Island. “I don’t know if I was born there” she says, “but when I first know myself, that’s where I was living.” Soon after the turn of the century, Jestine moved to Charleston, where she found work as a laundress and later as a house- keeper. 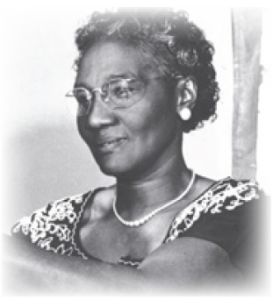 In 1928, she went to work for Aleck Ellison and his wife, who were then expecting a baby. It was the start of a lifelong friendship between Jestine and the Ellison family. Dana Berlin, the owner of Jestine’s Kitchen, is the daughter of the Ellisons’ only child, Shera Lee Berlin, and this restaurant is her way of sharing the wonderful style of home cooking and the warm atmosphere that Jestine provided for generations of friends and family. Jestine died at the age of 112 on December 18, 1997, but her legend lives on. We invite you to share a meal that could have come from her kitchen-traditional veggies, seafood and fried chicken – and raise a glass of Jestine’s table wine in a toast to her memory.